Ready To Sell Your Home Fast in Arlington? Are you the owner of a Arlington home? Have you thought about the benefits of selling your home directly? Before you list with a real estate agent, let us make you a fair and honest all cash offer on your house! We help local residents by paying great cash prices, find out what we can do for you! When it comes to selling, listing is NOT your only option. For some people listing is the best choice, and for many others, a direct offer will end up saving them a ton of time and money. You no longer have to feel stuck or burdened by an unwanted property. We buy houses in Arlington, TX as-is, so you won’t need to worry about the repairs or the cleaning. We take care of everything and make the process run seamlessly from start to finish. Because we are direct buyers, we are able to close in as little as a week. What could you be doing with all that extra cash 7 days from now? Get your custom, no-obligation offer on your Arlington house now! There is never any hassle. Take it or leave it… it is completely up to you! So… Want to Know What Else We Can Do For You? We can give you a fast close! We only need 7 days which will save you time and money on bills and listing costs! We buy as-is, so you don’t need to spend money on repairs, upgrades, staging or repairs! You will not have to pay any commissions, fees or closings costs. We take care of all the costs to you won’t have to pay anything out of pocket! From day 1 you will know what day you are closing, and how much you will get. You won’t have to spend time not knowing what will happen. You will be able to plan and move forward! To get started, we only need some basic information to put together your personalized offer! If you accept, we can close in 7 days, but YOU pick the actual day of closing. We want to work with you on YOUR terms. We want you to make the best decisions and move at the timeframe that works best for you! We can help you free yourself­­­ from a property that has become a burden. Whatever situation you are facing… divorce, foreclosure, repairs… and whatever your reason for selling, our offer will help you sell your house now!. Fill out the short form below to get started! 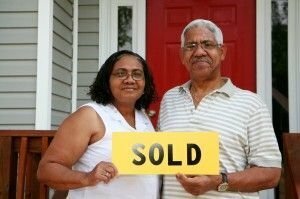 We work with homeowners who want to sell their Arlington homes fast! Divorce, downsizing, foreclosure, an inheritance… we’ve seen it all and we know how to help you! We will give you a fair and honest price for your Arlington home fast! Are you tired of the endless repairs, bills and all of the hassles that come along with owning a rundown home? We can help if you have repairs to make or unpleasant tenants to deal with. We are a solutions company, and we are ready to help you from start to finish!